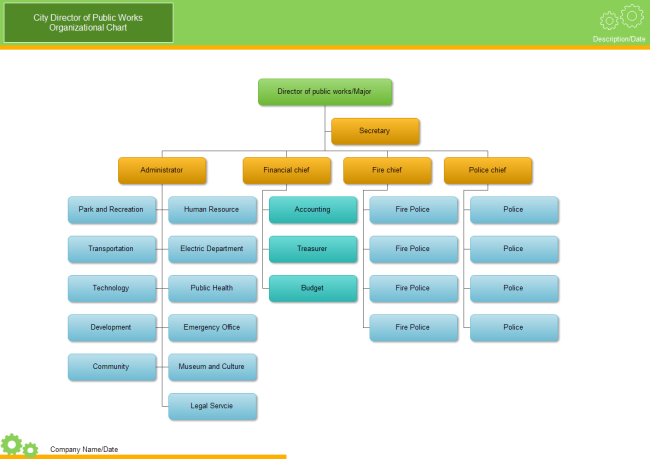 Description: A free customizable city org chart template is provided to download and print. Quickly get a head-start when creating your own city org chart. Structuring things in a visualized way, even a complicated system as a big city becomes understandable at a glance.